The United States Congress isn’t very skilled at compromise, but when it comes to unending debate, zero concessions, and little progress, you’d be hard-pressed to find a more qualified body of lawmakers than those in Washington, DC. And when it comes to the Restoration of America’s Wire Act (RAWA), “little progress” will be welcomed among those in support of online gaming and poker as the bill seeks to place a federal prohibition on iGambling. In a recent The Hill op-ed, Andrew Quinlan, president and co-founder of the Center for Freedom and Prosperity, a non-profit organization that promotes limited government, says that politicians and advocacy groups are lining up preparing to eventually discuss RAWA and its merits. Though it’s long been known that Las Vegas Sands Chairman and Founder Sheldon Adelson is the leading pusher of RAWA and is using his billions to fund its efforts through political pressure, poker players and those supporting the actions of Nevada, New Jersey and Delaware have been wondering where its defense would arise. Quinlan points to several outlets that could potentially hold up a RAWA passage, first and foremost the House and Senate judiciary committees. In addition to overseeing and considering legislation, both are tasked with the responsibility of protecting trade and commerce against unlawful restraints, meaning either could hypothetically block RAWA for violating states’ rights. Though Quinlan believes the committees could gain enough support to block the bill, it should be noted that Sen. Lindsey Graham (R-South Carolina) and Rep. Jason Chaffetz (R-Utah) sit on their respective committees, the authors of RAWA in the Senate and House respectively. Another blow to Quinlan’s theory is that Rep. Bob Goodlatte (R-Virginia) chairs the House Judiciary Committee. Though a long proponent of states’ rights, he was a chief architect of the 2006 Unlawful Internet Gambling Enforcement Act and spoke in favor of RAWA during the March hearing earlier this year. So who will protect the iPoker players? It might come as a surprise, but the Tea Party. The grassroots movement has lost some of its popularity recently, but conservatives still must adhere to the principles of smaller government to remain in good favor with constituents who are furious after two terms of President Obama and another notorious federal mandate: Obamacare. The topic of online poker and iGambling is difficult for conservative lawmakers to solidify a position on because Republicans are typically against expanding gambling, but they’re also generally against more government oversight. RAWA would limit gambling but by increasing Washington, DC’s authority. Any form of government expansion won’t go over well with the Republican-controlled Congress. 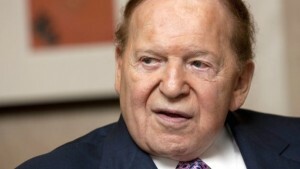 Without Adelson adamantly defending Internet gambling, RAWA likely wouldn’t even be an issue. His continued crusade and willingness to spend “whatever it takes” to send online gambling into prohibition has been questioned by many on the opposite side who find regulated iGaming safer than the offshore rogue sites currently being utilized by US citizens. As Quinlan correctly cautions, a Congress that can prevent a state from offering online gambling is also a Congress that could mandate a state to offer gambling. That is certainly a scary concept for Republican leaders, which is why the RAWA debate will be lengthy and perhaps eternally unresolved.